Buy works – Kubarev Philipp Vyacheslavovich | (1969, Moscow). Kubarev Philipp Vyacheslavovich (1969, Moscow). Member of the Moscow Artists Union (1998). In 1987, he finished the Moscow secondary school of arts under the Moscow State Art Institute named after V. Surikov. 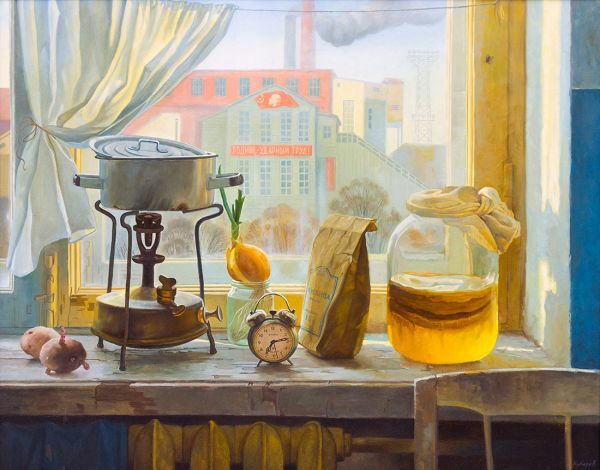 In 1991- 1993, he was studying in the Krasnoyarsk State Art Institute, and then until 1998 was a student of the Moscow State Art Institute named after V. Surikov. Member of more than one hundred exhibitions held all over Russia and in Moscow. The artist’s works can be found in many private collections. Still life with a record player. 20000 - 22000 rub. 20000 - 22000 rub. Late for half an hour.